If you have completed your Bachelor’s degree in criminal justice, and you would still like to further your education, you may want to consider looking into graduate programs. If you have a family and a job, you may wonder how it would be possible to have the time to go back to school, and continue supporting your loved ones. The answer is simple; there are online criminal justice graduate programs that can provide you with the opportunity of getting an education that will allow you to move up in your career, while simultaneously attending to your responsibilities elsewhere. Through online courses it is possible to receive Master’s degrees in forensics, public safety and security, homeland security, and law enforcement, policing and investigation, and other specialties in criminal justice. These degrees could offer you exciting job opportunities such as capturing terrorists, assisting people who have been in natural disasters, gathering forensic evidence to solve crimes, and protecting the public. Your focus will depend on the type of master’s degree that you choose. Absolute Annual Enrollments: Over the years, masters in Criminal Justice programs have attracted an increasing number of students, with absolute annual enrollments being the largest in 2012. The high percentage growth of 234.20% is further evidence of how well this program is faring with students. Relative Annual Enrollments – Student Interest Level: For the 12 years between 2000 and 2012, the percentage of students choosing criminal justice programs has increased consistently, starting from a humble 0.5% and culminating in a high 1.1%. If you still want to further your education, it is possible to receive a doctorate degree online as well. This type of degree would give you a chance involve yourself in researching criminal law. You would be able to research past criminal cases to establish precedents for the future. Most importantly you would be involved in developing new and original ideas on how criminal cases should be dealt with. This type of career could enable you to save the lives of citizens and those who work in law enforcement. You could truly make a difference in the world. A master’s degree in criminal justice helps students develop their critical thinking skills and provides them with an interdisciplinary perspective on the criminal justice system. It is never too late to continue with your education. Pursuing online criminal justice graduate programs can provide you with exciting new opportunities at any stage in your life. When searching for online graduate degrees, it is incredibly important that you do adequate research and find an accredited college. Find a school that will provide you with a valuable education that will help you to pursue your life’s dreams. Don’t settle for anything less than the absolute best. Q:What is the minimum time required to complete Criminal Justice Masters Programs? A:It takes as little as just 18 months to complete Criminal Justice Masters Programs. A:After completion of Criminal Justice Masters Degree you may work for federal agencies including the FBI, NSA, Homeland Security and DEA. The career options are immense with sound remuneration. Q:Name a few institutes offering the Masters in Criminal Justice degree? A:The Masters in criminal Justice degree is a sought after program and is offered by various accredited institutes listed on our website. These include Kaplan International, Regis University, Virginia College, Anna Maria College, University of Liverpool and the Keller Graduate School of Management. Q:How long does it take to complete the Master of Criminal Justice? A:The Master in Criminal Justice degree program is a two year program. However, the duration can vary with the type of Master's degree pursued. If the Master in Criminal Justice Degree is pursued online, there will be no time restriction since online degrees are completed at students' own pace. The accelerated Master in Criminal Justice takes about 18 months for completion. It does not allow any semester breaks or holidays. And the Executive Masters in Criminal Justice takes about 3 years since the classes are conducted either in evening or on weekends only. Q:What can be a private sector job for Masters in Criminal Justice degree holder? A:The Masters in Criminal Justice degree holders can find various work opportunities in the private sector. They can be hired as private detectives by private companies. They can work as fraud analysts and financial fraud managers in any private organization that requires such services. They can also be hired as legal consultants and advisers by multinationals and other private organizations. Q:Can I work and complete my Master of Criminal Justice Administration side by side? A:Definitely. Online degree programs have made getting further education alongside working very easy. Getting the Master of Criminal Justice Administration degree after office timings is also possible at the campus based institutes via the executive graduate programs. However, online Master of Criminal Justice Administration is more convenient since it allows applicants to complete the degree program at their own pace from the ease of home and is also considered less costly. Q:What courses are included in the curriculum of master’s degree in criminal justice offered by criminal justice degree schools? A:Masters degree in criminal justice is a two graduate degree program that is designed to equip students with in depth knowledge of law and criminal judiciary. The curriculum entails a number of general courses and concentration courses. A few courses studied throughout the program are: criminology, white collar crime, analytical methods, forensic behavior analysis, terrorism, victimology, crime and punishment, cybercrime, criminal justice administration, and research methods. Q:What the major organizations that offer Criminal Justice Masters employment opportunities? A:A Master’s degree in Criminal Justice is a two year graduate degree. It is an advanced level degree program. Graduates in criminal justice can search for employment in various government departments and private institutions. Government agencies that require the services of criminal degree holders include police departments, correctional facilities, prisons, FBI, CIA, and criminal courts. Private agencies that offer employment to criminal degree holders include research institutions/universities, and law and attorney offices. Q:Searching on criminal justice masters private sector got me wondering about its scope. What are the job prospects for this qualification in the private sector? A:A professional with a Master in Criminal Justice has a favorable outlook in the private sector. Professionals with this qualification are hired as teachers by privately funded educational institutions. There is also demand for professionals who provide their services as consultants for research and legal purposes, making this a very lucrative career option. Q:While going through what is master of the general criminal law, I came across the program Master in Criminal Justice – Law and Public Policy, what courses are being covered in it? A:There are many different specializations being offered in Master programs in Criminal Law. One of them is Master in Criminal Justice – Law and Public Policy. The areas covered in course include criminal law and public policy, ab-originality, private and non-government sector involvement in the criminal justice system, women, crime and the criminal justice system and measuring crime and monitoring the administration of criminal justice. Q:Can you please tell me what are the contents of the course on Criminology in the Master in Criminal Justice jobs? A:The Master in Criminal Justice jobs require ample understanding of the course on Criminology. This is a 4 credits worth course and stresses primarily on the process of inspecting the classic theories as well as recent developments in research making, theoretical understanding and policy strategies on curbing crimes. Hands on experience is also provided in this course. Q:To get good Masters in Criminal Justice jobs, you need to have knowledge of Statistical Analysis. What is covered in this? A:For complete understanding of the Masters in Criminal Justice jobs, you need to have complete knowledge of the Statistical Analysis course, which is of 4 credits' worth. This course introduces the students to the statistical analysis foundation. Some of the primary areas of understanding are dispersion and the measures of location, distributions, testing and sampling methods, probability distribution and decision analysis. Q:What are the advantages of pursuing an online Criminal Justice Master Excite program? A:There are quite a few advantages for students looking to pursue an online Criminal Justice Master Excite. Online education gives students an opportunity to study at their own pace. These programs have an extensive curriculum which helps the students understand every topic comprehensively. And top of this, these programs are relatively cheaper as students save money on travel and accommodation. Students interested in this degree are advised to search our website. Q:My search on MPA or Masters in Criminal Justice led me to Advocacy and Mediation course. Can you brief me about it? A:MPA or Masters in Criminal Justice programs offer a number of courses. Advocacy and Mediation is among the major courses of the curriculum for Criminal Justice studies. This course is specially designed in a way that the students get to explore the advantages of dispute resolution within human services as an advocacy process. Q:As I read about the jobs for Masters in Criminal Justice, it mentioned the course on Judicial Process. What are the topics discussed n this course? A:It is common to get to read about the Judicial Process while going through the jobs for Masters in Criminal Justice. 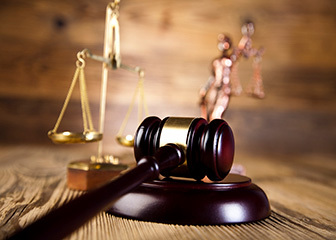 This is a 4 credits worth course which stresses, on the study of the various dynamics of the courthouse justice, such as the overview of legal grounds in the criminal courts. This course also studies the various legal actors such as defense attorneys, prosecutors as well as judges. Q:how do I get an easy masters in criminal justice? A:While no master's degree is 'easy', you can make the process of getting a master's degree in criminal justice much easier if you go for an online course. If you are studying online, that means you will not have to travel to a campus everyday and will save on traveling expenses as well as any lodging expenses you would normally incur. Keeping up with studies is less hectic as all the classes can be taken over the internet and you wouldn't even have to leave the house to complete your degree. Q:While reading on the criminal justice jobs with masters degree, there was mention of the course on Report Writing. What are the contents of this course? A:It is common to get to read about the course on Report Writing while going through the Criminal Justice jobs with Masters Degree. This course is worth 3 credits in total. It is designed to provide students with understanding of the various reports that are used by the officials of policing departments in the United States. Hands on experience is also provided. Q:Search on Education and Criminal Justice Master degree led me to MBA in Criminal Justice program. Can you brief me about it? A:It is common to come across MBA in Criminal Justice program in a search on Education and Criminal Justice Master degree. In this two year program, the students get to study courses such as strategic knowledge studies, human resource management, the history of management theory, juvenile offender, white collar crime, survey of forensic sciences, violence and society and organized crime. Q:Search related to MS in Criminal Justice and jobs led me to Master of Criminal Justice in Global Issues program. What is the course work? A:Search on MS in Criminal Justice and jobs often leads to the reference of Master of Criminal Justice in Global Issues. In this program, the students get to study courses such as comparative criminal justice systems, criminal justice history, legal and ethical issues, current issues, law and society and criminal justice management. Q:My search for how long does it take to get a Masters in Administrative Justice mentioned a course on Advanced Criminal Investigation. What is the premise of this course? A:Course on Advanced Criminal Investigation would be mentioned when searching for how long does it take to get a Masters in administrative justice. This course is usually worth 3 credit hours and primarily deals with advanced investigation techniques. Students with the help of this course learn about interviewing, interrogation, fingerprinting and specific investigative techniques. Prospective students are advised to search our website for an extensive list on online institutions offering this course. Q:How important is the course on Patrol Procedure when completing master in criminal justice and public safety? A:Course on Patrol Procedure is an essential part of master in criminal justice and public safety. This course trains students on the foundation of patrolling procedure. Some of the other topics included in this program are police communications, traffic direction, crimes in progress, reporting and documentation. The course is worth 3 credit hours and aims to familiarize students with patrolling procedures. Q:What is the program outline for a Masters in Criminal Justice graduate program? A:The Masters in Criminal Justice graduate program aims to prepare students prepare students in both analytical and investigative techniques. Some of the courses included in this program are Criminal Justice Theory, Law and Policy, Crime Justice, and Community, Advanced Criminology, Advanced Statistics, Interventions and Change in Criminal Justice and Crime, Justice and Community. Q:As I read about the Masters degree in Criminal Justice, there was mention of the course on Principles of Public Speaking. What are the contents of this course? A:It is common to get to read about the course on Principles of Public Speaking while going through the Masters Degree in Criminal Justice. This course usually is worth 2 credits in total. It is designed to provide students with strong understanding of the fundamentals of speech-making and oration. Hands on experience is also added to the course. Q:Is the content of an online criminal justice masters degree the same as other masters' degree programs? A:Online degree programs have been designed to incorporate all the important features, including content/ subject matter. The program is then adapted to allow it to be taught remotely. Many students, and prospective employers, will not be able to tell the difference between the online program and a traditional, classroom based program. Q:Tell me about the career prospects of a master degree programs in criminal justice? A:The field of criminal justice is a highly rewarding and exciting job for someone who has interest in this field. With a Master degree in criminal justice you can get started in a top level managerial position in your local police departments, state law enforcement bodies or federal agencies like FBI, NSA, Homeland Security and DEA. Q:Can you tell me about online criminal justice masters degree programs? A:Online criminal justice masters degree programs are offered by various institutions. These programs provide distance learning study, allowing students to stream the material related to crime and the justice system online. The course for such programs is the same as compared to traditional on campus institutes, it is only the method of learning that is different. Q:What are the main admission requirements for a masters of criminal justice program? A:A master's degree in criminal justice is a graduate level course that can only be earned after completion of bachelor studies. So it is important that you have earned a bachelor degree with a satisfactory CGPA. On the other hand, you may also need a few letters of recommendation. The admission requirements will vary from school to school. Q:Are there colleges that offer criminal justice masters programs? A:Yes, there are many colleges that offer master's degree in criminal justice. This field of law has become a popular academic route nowadays. Criminal justice programs focus on various aspects of the field related to crime prevention, criminal proceedings, and law enforcement tactics. Students can pursue criminal justice at bachelor and doctorate levels as well. Q:To enroll in the best online criminal justice masters programs, what CGPA is required? A:If you are planning to enroll in a master's degree in criminal justice degree, you will need to first complete a bachelor degree in the same or a similar field. The CGPA requirements will vary from school to school. However, a minimum 2.5 CGPA score is required. Top ranked schools have a higher CGPA requirement, usually between 2.8 and 3.5. Q:What can be my specialization options in online masters in criminal justice? A:Online master's degree in criminal justice offers a number of specialization options for students. Specializations are available in subjects such as criminology, corrections, crime scene investigation, law and criminal prosecution or policing and law enforcement. Students cover topics on criminal psychology, investigative techniques, crime scene processing, public safety, and national security studies. Q:How can I perform well in online criminal justice master programs? A:The format of online programs is different from the campus based master programs. Online programs require more self management and consistency on your part. It is best that you regularly attend your online lectures, submit assignments in time, participate in lecture discussions, ask questions from the instructor, and strictly follow a suitable study schedule. Q:Can I pursue a criminal justice masters degree online? A:Yes, a number of online institutes now offer masters degrees in criminal justice. Online programs offer certain benefits not available to those pursuing campus programs. These programs provide a convenient and flexible learning environment to those with busy life routines. Also, these programs are much less expensive than campus programs due to low cost of online education. Q:Is a master in criminal justice also being offered by leading universities online? A:Yes, you can search online to find out which prestigious schools are offering online masters degree in the field of criminal justice. With the growing demand of online learning, many schools have added online degrees to their program offerings. This mode of learning is more cost-friendly, flexible, self-paced, and convenient to pursue. Q:What are the admission requirements for masters' in criminal justice programs? A:A master's criminal justice program is a graduate level program that requires at least the completion of an undergraduate degree. Most masters programs may have GPA requirements and you will be required to fill out and submit a completed application form along with your transcripts of previous studies. The undergraduate degree must be in a related field of study such as law, legal studies or criminal justice.